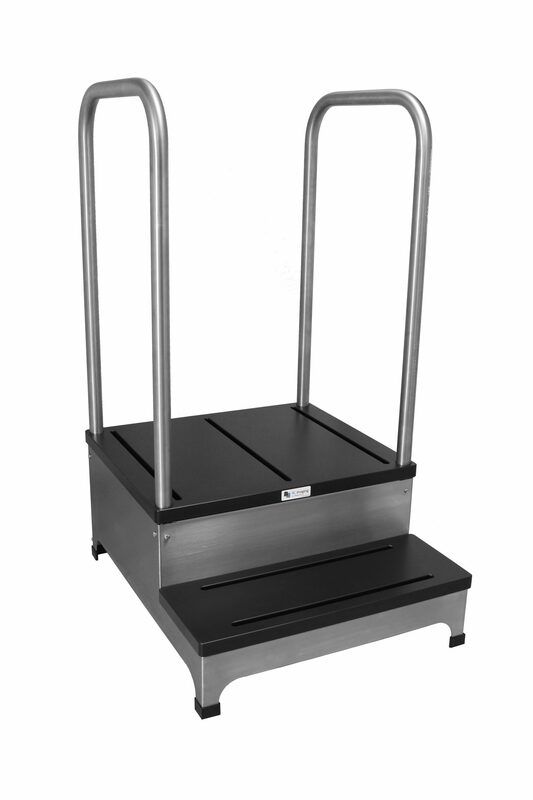 Weight bearing 2 Step Platform is designed to accommodate digital DR Panels, CR Cassettes and Analog. This product is designed for easy mobility plus stability while allowing for easy weight bearing imaging on the foot, ankle and knee. RC Imaging’s 2 Step Platform is constructed of high density ABS plastic and stainless steel.